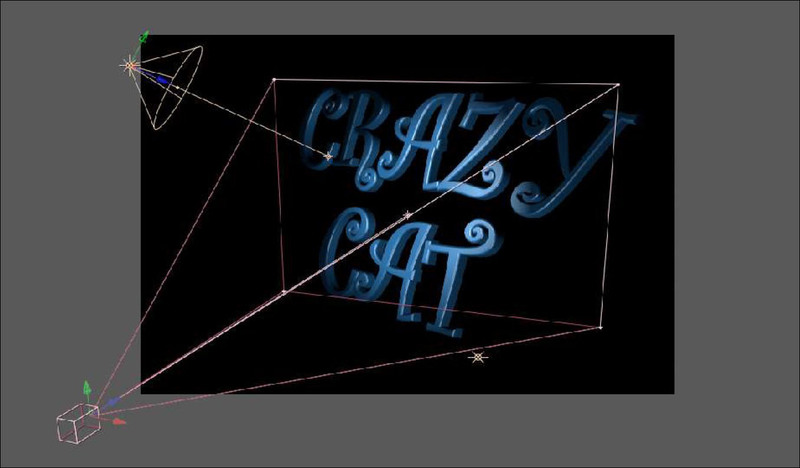 The BCC Extruded Text filter generates true 3D text objects with separate control options for each of the 4 sides of the extruded object. Users of After Effects, HitFilm, and Nuke can take advantage of tight integration with the native host 3D camera and lighting systems in addition to the filter’s own built-in 3D camera and lighting options that are available across all hosts. Additionally, AE users can use AE native mask tools to create custom bevel shapes, and for non-AE users, a variety of built-in bevel shapes have been included. Also included with this filter are 3D deformers, such as ripple, pulse, bend-taper-twist, curl and a shatter explosion effect. 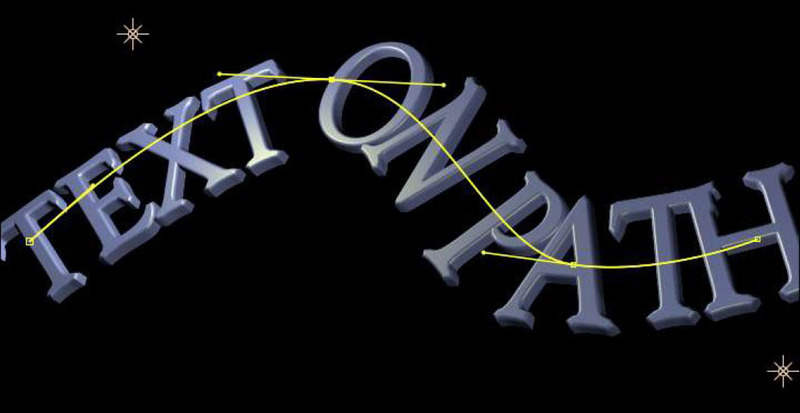 The Jitter option offers additional automated control over the 3D text animation. Although the Extruded Text filter operates in a true 3D space, for best integration of the 3D extrusion into an host 3D scene it is generally recommended to leave the Solid layer the filter is applied to as a 2D layer (rather than switching it to a 3D layer). 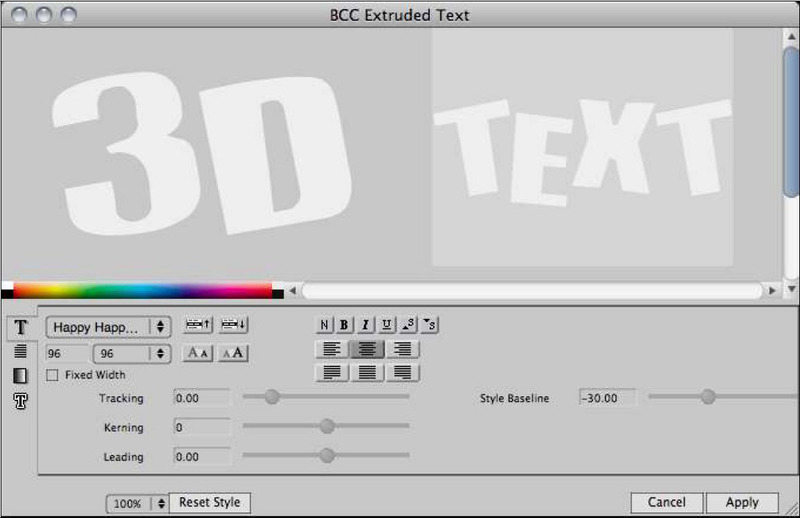 The BCC Extruded Text filter provides a custom Text Window to enter and format the text. In some hosts the Text Window may automatically launch when the effect is first applied, whereas in other hosts you may need to select the Text button to bring up the window. 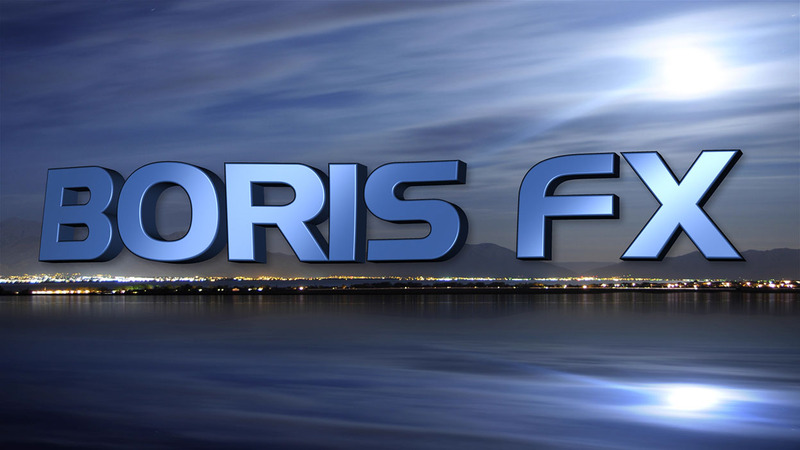 BCC Extruded Text uses the standard Boris Text Window (like the Boris Title Toolkit, RED, Blue, and Graffiti products). Apply or Cancel buttons in the bottom right area of the window or by choosing Close from under the File menu (or keyboard shortcut for Close). There are 3 preset controls (Bevel, Side, and Path) for saving and loading custom curves created out of AE masks (for use in defining extrusion shapes and text paths). The Bevel Saved Preset and the Side Saved Preset controls are where you can access bevel or side preset styles that have been saved based on AE Masks. To save such a bevel or side style preset the Bevel Style or Side Style popup menu must be set to Host Path and an AE mask must be selected as the Host Path. Once the preset is saved, it will work even in effects that do not include that particular AE Mask. The Two–sided Lighting checkbox causes a material to display the effects of lights on both sides when the checkbox is enabled. This can be useful for achieving specific types of effects. The Path parameter group includes controls for doing a “text on path” effect where a user defined curve can act as the baseline for text. The Path Type popup menu offers the following options ; AE Mask, Saved Path, Line, and Circle. The AE Mask popup allows for selecting an AE mask as the baseline for the Extruded Text, and this popup is enabled only if Path Type is set to AE Mask. Note that for an AE Mask to be accessible to the filter it must be applied to the same AE layer the filter is applied to. The Point 1, Point 2 and Scale controls apply specifically to using the Line and Circle path types, and will be disabled when Path Type is set to AE Mask. The On Path Motion parameter can be used to position and animate the text along the path. The Angle To Path parameters allows for adjusting the text characters so they are oriented to be perpendicular to the angle of the path or so they are oriented to be perpendicular to the edge of the frame (and any angle in between). The Alignment popup menu offers choices for the text to be Left, Right, or Center justified on the path – and also a choice to Distribute the text characters evenly so they are covering the entire path. When enabled, the Reverse Path checkbox will cause the text to use the reverse side of the path for a baseline. The Path Jitter parameters provide options for jittering the path vertices X and Y positions, and controlling the speed of the jittering and varying the random seed. The Letter Transformations parameter group includes controls for adjusting and animating various typographical attributes of the text characters which are being extruded. For most of these parameters reading the parameter label gives a good idea of its function. The Tracking parameter offers a way to adjust and animate the tracking between the text characters. The Leading parameter offers a way to adjust and animate the line leading between multiple lines text characters. The Baseline parameter can offset the baseline on which the text characters are arranged – particularly useful with text on a path. The Letter Rotate parameter allows for rotating the letters (without rotating the text block as a whole). Note: that these Letter Transformations are applied to the text at the vector text level (before it is extruded to create a 3D shape) so animating these values works best for 3D text with solid color materials as texture and bump maps do not animate along with these parameters. The Jitter parameter group includes controls for applying an auto-animated jitter to the text characters which are being extruded. The Jitter Seed parameter allows for varying the randomness of the jitter. The Jitter Position X and Y, Jitter Angle, and Jitter Scale X and Y parameters determine how much each of those attributes of the text characters is being jittered. The Restrictions popup menu allows for limiting the jitter to one direction or the other (from default). For example when Jittering the Y Position, setting Restrictions to Negative Only will make it so all the jittering occurs above the baseline of the text (rather than allowing text characters to also dip below the baseline of the text). The Polarize parameter pushes more of the text characters toward the extremes of the range in which they are jittering. The Master Jitter Amount parameter scales all the individual jitter attributes together in a single parameter allowing for easier fading up and down of the overall Jitter effect . The Extruded Text filter includes several true 3D deformers for warping the 3D extrusion in various ways. The Deformers included in the filter are Bend–Taper–Twist, Curl, Shatter, Ripple, and Pulse. As the name suggests Bend Taper Twist offers 3 distinct deformation processes and the Effect Order popup menu provides a way to determine the internal order in which the 3 deformations are applied to arrive at the final result. Bend Strength controls how much bend is applied and in which direction the bend goes, with positive values bending the left and right edges of the object forward and negative values bending them backward. Bend Radius defines the steepness of the bend curve. The Bend Mode popup menu provides 2 options for how the bend will appear. Using the Stretch mode, the Z scale of the object increases as the Bend radius increases, while the using the Curve mode the Z scale does not change with the Bend Radius. The Left and Right Taper controls taper the Y and Z scale of each side of the object, with positive values giving a larger Y and Z scale and negative values giving a smaller Y and Z scale. The Left and Right Twist parameters twist each side of the object, with positive values twisting the object so the top part is bent forward while the bottom part is bent back – and negative values twisting the object so the top part is bent back while the bottom part is bent forward. Center Offset X, Y, and Z provide a way to offset the deformations in 3D space. The Direction popup menu determines what direction in 3D space the object will curl in using the Curl deformer. The Guess choice tries to give a commonly desired result by curling along the longest axis in the direction of the shortest axis, and the Guess 2 choice curls along the longest axis in the direction of the second shortest axis. The other choices are labeled to allow for specifying what edges of the object are curled along which 3D axis. The Curl 1 and 2 parameters define a primary and a secondary curl when changed from their default values of zero, with positive values curling the edge of the object forward and negative values curling the edge back in 3D space. The Curl Type popup menu offers 2 choices ; 3D or Flat. 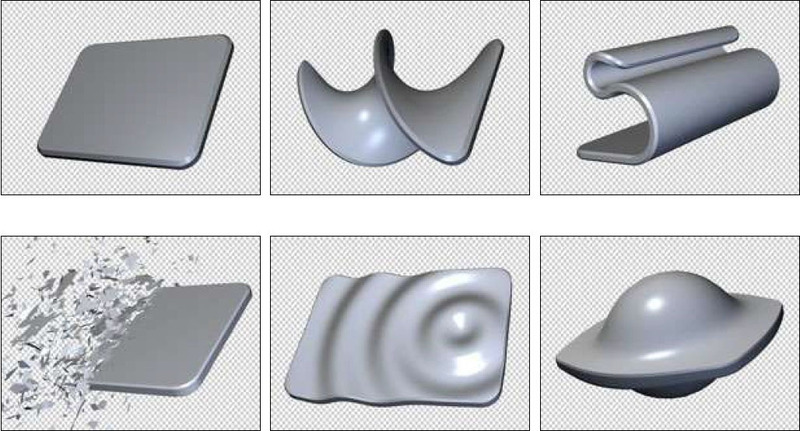 The default choice of 3D will curl the object while maintaining its thickness while the Flat choice will flatten the object at the curl points. The Noise Reduction checkbox, which is enabled by default, prevents noise artifacts that can appear in certain types of curl effects. The speed of the curl effect can be increased by disabling Noise Reduction for effects where it does not seem to be necessary. Falloff Crack Points mode is similar to Crack Points, but falloff means the Crackability decreases farther from the Crack Points which can be used to create a more realistic shatter effect in some cases. Velocity Minimum determines the minimum velocity for the slowest of the shatter pieces, while Velocity Variation determines how varied the velocity is between all the pieces, and also acts as a maximum velocity control. Explosive Force provides an easy way to alter the overall velocity curve so there is a burst of speed as the piece first shatters away from the main shape – the Explosive Force also gives a similar speed burst to the Spin Speed of the pieces which makes the explosive feeling of the shatter more convincing. Gravity exerts a pull on the shatter pieces (unless it is set to zero), and although it is outside of the slider range it is possible to scrub the numeric entry field or enter negative Gravity values to apply reverse gravity. To have no velocity to the shatter (so the object seems to crumble) set both Velocity Minimum and Velocity Variation to zero, and make sure there is some gravity value applied. Since the Automated Time Mode always does a forward shatter (Time Scale does not accept negative values), using the Manual Time mode (animating from a higher to lower Manual Time value) is suggested for creating reverse shatter effects. The Ripple Deformer applies a ripple effect along the Z plane of the object. Center X and Y determine the X/Y center point for the ripple effect. The ripple defaults to being a perfectly round circle ripple and the Stretch parameter allows for elongating the ripple shape in either direction resulting in an oval shape ripple. Combining certain Center X/Y and Stretch values also allows for the creation of effects that can appear more like a wave, including a horizontal or vertical wave. The Ripple deformer auto-animates by default and the Phase parameter allows for offsetting the phase of the ripple auto- animation. The Time Scale parameter determines the speed of the ripple auto-animation with negative values animating the ripples outward from the center and positive values animating in the reverse direction, with values farther away from zero being faster and values closer to zero being slower. It is also possible to manually drive the ripple by setting the Time Scale to zero and animating the Phase parameter with keyframes. The Amplitude parameter determines how much of the deformation is applied at the most deformed point in the pulse animation. Although it is outside of the slider range it is possible to scrub the numeric entry field or enter negative Amplitude values to reverse the direction of the deformation. The Frequency parameter determines the frequency of pulses, with higher values resulting in more frequent pulses and lower values resulting in less frequent pulses. The Phase parameter allows for offsetting the phase of the auto-animated pulse. It is also possible to manually drive the pulse (and animate its frequency) by setting the Frequency parameter to zero and animating the Phase parameter with keyframes.